Applied research: Data science and medical imaging. I'm currently interested in Fairness, Certifiability and Robustness in machine learning and Image Registration. Engineering: Efficient algorithms for data mining. Program and package development using C++ or Python. GPU computing using OpenCL or CUDA. 2012-.: Fellow research engineer at CNRS. Promoted senior research engineer (IR1) in 2018. Toulouse Mathematics Institute (IMT), France. 2011: Research fellow at the Biomedical Image Analysis Laboratory with Julia A. Schnabel (Invited fellow until end 2014). Institute of Biomedical Engineering, University of Oxford, UK. 2009-2010: Research assistant at the Biomedical Image Analysis Group and the Institute for Mathematical Sciences with Daniel Rueckert and Darryl Holm. Imperial College, London, UK. 2007-2008: Researcher/Engineer at the Computer Assisted Neuroimaging Laboratory with Philippe Ciuciu. Neurospin, CEA Saclay, France. 2003-2006: Junior lecturer in Fluid Mechanics. Department of Mathematics and Computer science, Paul Sabatier University, Toulouse, France. 2019: Qualified for university professor (PU) positions in Applied mathematics and applications of mathematics (CNU 26). 2018: Habilitation (HDR): Mathematical Models and Numerical Methods for the Analysis of Medical Images and Complex Data (manuscript). Institut de Mathématiques de Toulouse; Paul Sabatier University, France. 2011: Qualified for lecturer (MCF) positions in Applied mathematics and applications of mathematics (CNU 26). 2007: Qualified for lecturer (MCF) positions in Mechanics, mechanical engineering, civil engineering (CNU 60). 2003-2007: PhD thesis: Quantitative Analysis of Micro-vascular Networks from Computed Tomography Images (manuscript in French available upon request). Fluid Mechanics Institute of Toulouse; Paul Sabatier University, France. 2002-2003: Master 2 in Computer Science. Major in Image analysis. Paul Sabatier university, Toulouse, France. 2000-2002: Licence 3, Master 1 in Mathematical Engineering. Major in Scientific Computing (PDEs and optimization). Paul Sabatier university, Toulouse, France. 1998-2000: Licence 1,2 in Mathematics, Computer Science and applications. Paul Sabatier university, Toulouse, France. 2019: CNRS innovation prize obtained on the project Ethik-IA, in order to develop a reference Python package dealing with Fairness and Robustness in Machine Learning. Obtained with J.-M. Loubes (IMT, Univ. Toulouse). 2018: Maturation program with Toulouse Tech Transfert, in order to work on practical strategies to detect selection biases in Machine Learning. Obtained with J.-M. Loubes (IMT, Univ. Toulouse) and P. Besse (IMT, INSA Toulouse). 2016: Grant for a PhD thesis Regression models for non-Euclidean and high-dimensional data founded by Region Midi-Pyrénées (now Occitanie). Obtained with J.-M. Loubes (IMT, Univ. Toulouse) and P. Balaresque (AMIS, CNRS). 2016: Member of the ANR granted project Voice4PD-MSA (Differential diagnosis between Parkinson's disease and Multiple System Atrophy using digital speech analysis) with K. Daoudi (INRIA Bordeaux, PI), J. Mauclair (IRIT, Univ. Toulouse), W. Meissner (CHU Bordeaux), A. Pavy-Le-Traon (CHU Toulouse), S. Déjean (IMT - Univ. Toulouse). 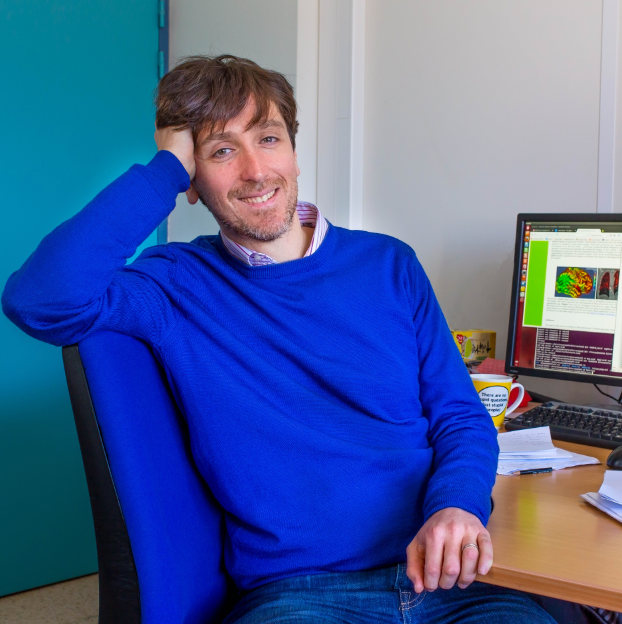 Co-responsible for statistical analyses with S. Déjean. 2015: Member of the project Fluidbrain founded by the Midi-Pyrénées region and INSERM with E. Schmidt (PI, INSERM 825 - CHU Toulouse), P. Celsis (INSERM 825 - CHU Toulouse), P. Payoux (INSERM 825 - CHU Toulouse), P. Swider (IMFT), P. Besse (IMT - INSA), S. Déjean (IMT - UPS). Responsible for the work package dealing with data integration. 2015: Member of the project SysBio founded by INSERM with E. Dupré (PI, INSERM 1043 - CHU Toulouse), L. Ysebaert (CHU Toulouse), E. Chatelut (Institut Claudius Regaud), F. Courbon (CHU Toulouse), F. Malgouyres (UPS - IMT), S. Gadat (UT1/TSE - associate IMT). Responsible for the development of image analysis strategies on 3D Slicer. 2014: Member of the ANR granted project Numerical Schemes using Lattice Basis Reduction with J.-M. Mirebeau (PI, Univ. Paris Dauphine), L. Cohen (Univ. Paris Dauphine) and J. Fehrenbach (Univ. Paul Sabatier, Institut de Mathématiques de Toulouse) (website). 2014: Travel grant CNRS / University of Oxford collaboration scheme. Grant obtained in collaboration with Julia A. Schnabel. 2013: PI of an AO1/Université Paul Sabatier grant. Grant obtained in collaboration with CerCo Toulouse (in particular M. Mescam and C. Fonta). 2012: Travel grant CNRS / University of Oxford collaboration scheme. Grant obtained in collaboration with Julia A. Schnabel. 2010: Co-author with Darryl D. Holm (Principal Investigator) and François-Xavier Vialard of the ERC projet: Five Grand Challenges in Computational Anatomy. 2008: French national prize "La recherche" 2008 - human health mention. Prize obtained with the team members Franck Plouraboué, Caroline Fonta, Peter Cloetens and Xavier Descombes on my PhD work. This prize rewards pluridisciplinary research works. 2006: PI of a grant to fund an extension of one year to my PhD work. Grant from the Fondation pour la Recherche Médicale (French Foundation for Medical Research) with F. Plouraboué and C. Fonta. 09/2017 - . : Member of the valorization group at the Mathematics Institute of Toulouse (link). 12/2015 - . : Representative of the technical and administrative personnel at the Mathematics Institute of Toulouse laboratory Council. Elected for 4 years with I. Guichard. 2014 - . : Member of the editorial board of AIMS Medical Science (link). uTIlzreg: Diffeomorphic registration of 3D images (see the Papers webpage for specific citations): https://sourceforge.net/projects/utilzreg/. Explanations about uTIlzreg are given here. LargeGraphCenterEstimator: Barycenter esimation of observed events on large weighted graphs (citation): https://sourceforge.net/projects/largegraphcenterestimator/. GeoShoot: GPU implementation in C++/OpenCL of the Geodesic shooting algorithm here for 3D medical images (internship of Alexandre Martin -- ENS Lyon): https://github.com/scalexm/GeoShoot. CoordinatesLayout: Cytoscape App for the defintion of graph layouts with pre-defined coordinates (internship of Noémy Artigouha -- INSA Toulouse): http://apps.cytoscape.org/apps/coordinateslayout. ImpecBrainSeg: Segmentation of MR brain images: https://sourceforge.net/projects/impecbrainseg/. Disclaimer: All these codes should be used for research purposes only. 2018: Co-organiser of the CIMI Optimization and Learning workshop, which focuses on current challenges in optimization for machine learning. 2016: Co-organiser of the MASCOT-NUM 2016 meeting, dealing with stochastic methods for the analysis of numerical codes. 2015 : Co-organiser of the French conference Journées de probabilités 2015, dealing with probability. 2014: Co-organiser of the French conference Journées MAS 2014, dealing with stochastic modelling and statistics. Proceedings are here. Member of the Toulouse Data Science meetup group.